The Answer Book is a community resource guide designed with a user-friendly format to easily connect individuals with the services they need. With a Table of Contents featuring everything from Ambulances, Animal Related Organizations and Apartments to Law Enforcement, Legislators, Libraries and so much more, the Answer Book puts everything you need right at your finger tips. 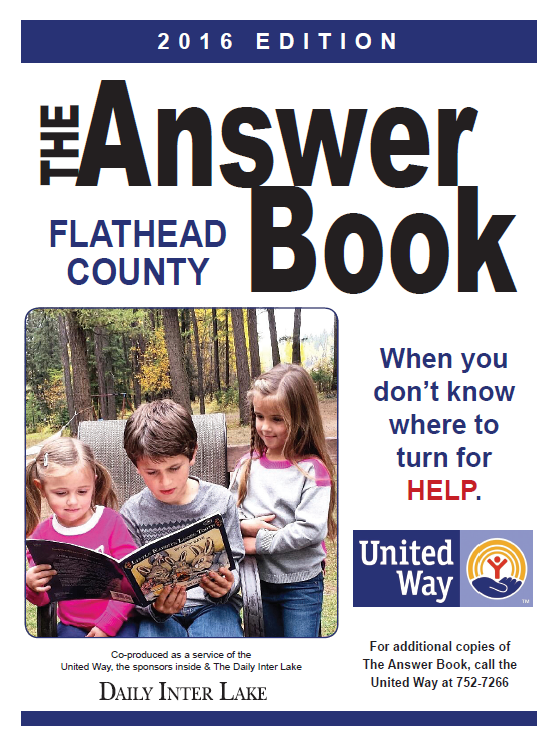 The Answer Book is co-produced by the United Way, sponsors published within the book, and the Daily Inter Lake. View it ONLINE or call the United Way office at 406-752-7266 to request a copy.